Lovely shot, Martina, you have captured the beauty in decay so artfully! I love the warm colors of the leaves…. Haven’t to much time to go out but i realy enjoy your photo’s Martina!! Beautiful colours…well composed and great depth of field…I like the little green leaf on the left…I wonder what its story is? There is always one!! Beautiful tones in this charming image. So simple and so beautiful. 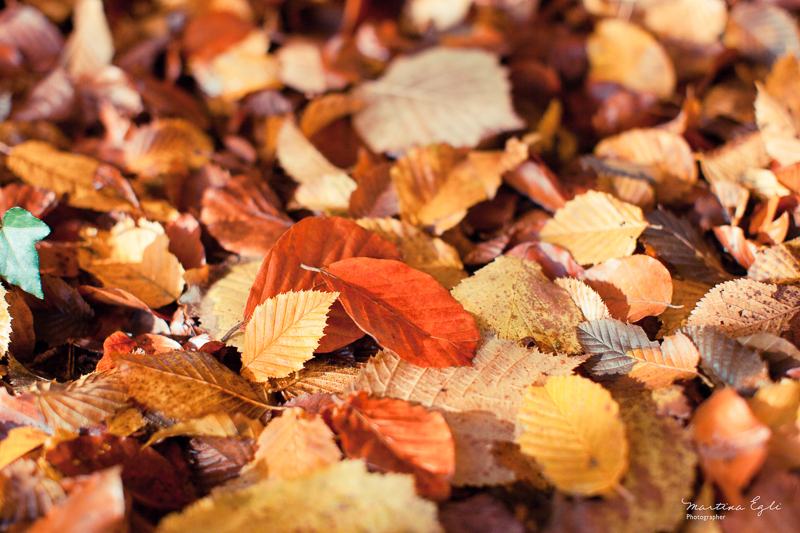 And the use of depth of field enhances the texture and colours of the autumn leaves. Great light, too. There really is some kind of magic in these bits of bronze and gold as they lay on the ground. I think the words of The Bard say it wonderfully well. Lovely photo, Martina!